Delight in the west coast flavor of our California Shrimp Topper recipe. 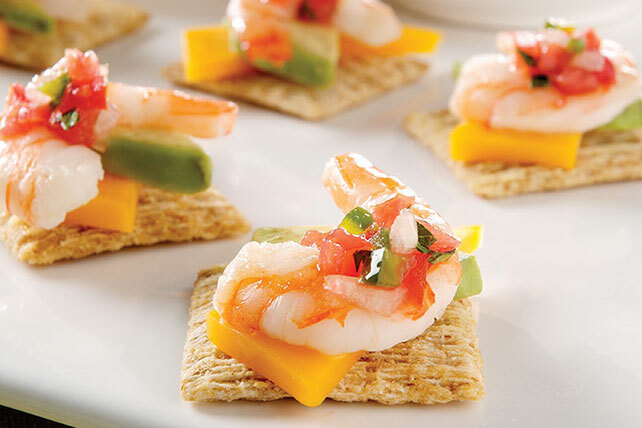 Shrimp, avocado, salsa and cheddar make our California Shrimp Topper stand out. Cut cheese slices diagonally in half. Top crackers with cheese and remaining ingredients. Prepare using roasted garlic woven wheat crackers. Prepare using your favorite KRAFT 2% Milk Cheese.